HOY Shizuoka Review: A quality hybrid bike for pros. The Hoy Shizuoka is a city bike that has so much personality it actually hurts a little. This is one of the most well spec’d bikes on the street right now, and is able to compete with some of the best machines out there without question. 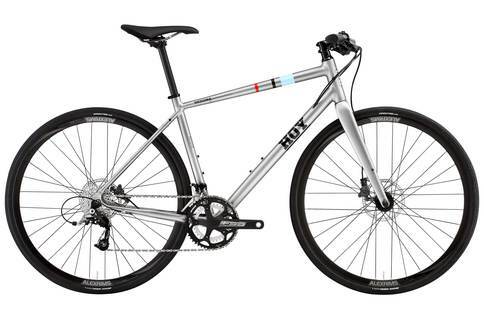 Weighing in at 10kg, the Hoy Shizuoka is a city bike that we were itching to get our hands on. It is a fast, flat and simple road bike that looks very classic indeed. Hoy has produced a city bike that is not exactly a pure city bike either – it is able to handle itself on more urban roads. In addition to this versatility, we also noticed that the bike was available for quite a fantastic price, which made it even more desirable to the average cyclist. We took it out for testing on hilly areas as well as slat roads, and found that the performance was more than we expected wherever we took the bike. We also soon came to the conclusion that this bike is actually a lot faster and lighter than others in its class and price bracket. It makes use of a SRAM drivetrain and gorgeous Tektro hydraulic disc brakes to ensure the best stopping power for the bike even when you are zooming along at speed. A bike made for roads and street cycling, the Hoy Shizuoka is a master of the art of budget biking – bound to satisfy you as long as you don’t force it into anything. We didn’t have any major problems at all with this bike, and thought that it was actually a very good buy. The price is great, the components are decent, and the brakes are awesome. While it isn’t the most versatile “hybrid” out there, it is definitely at the top of the list.